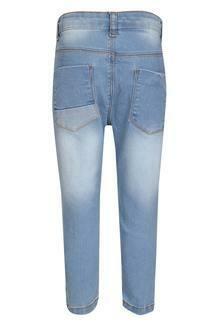 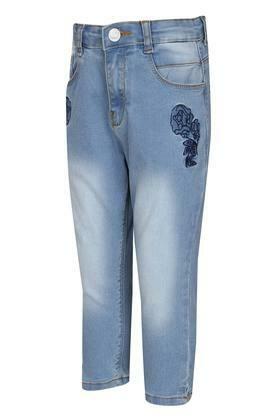 The coveted brand, Life has perfectly blended style with comfort in this pair of jeans. It is convenient to wear as it has a button closure, while the waistband with belt loops promises to offer your daughter a proper fit. 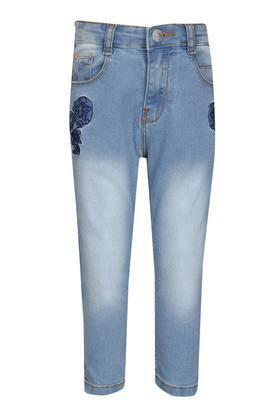 Featuring a heavy wash effect, it also scores high on the fashion metre. Featuring a heavy wash effect and a comfortable make, this pair of jeans will be an excellent pick for your kid to wear on any casual occasion. A top and a pair of ballerinas will be its perfect complement.